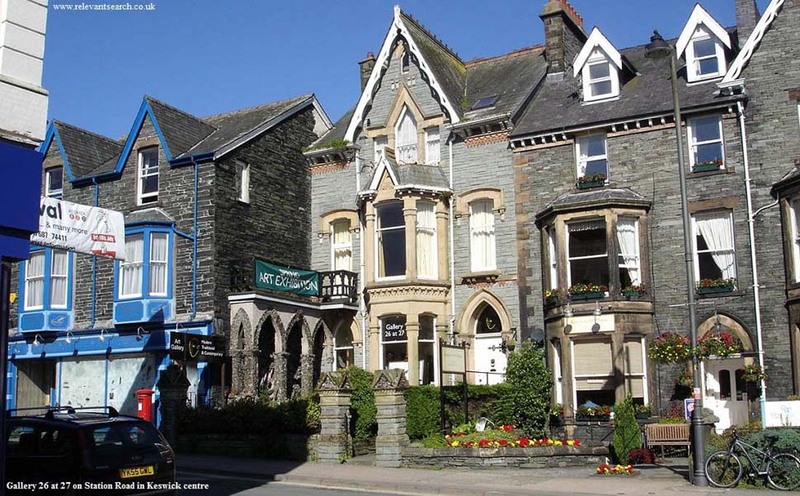 Below is an extensive list of Keswick Attractions with Websites, Phone Numbers, Images and links to Maps and Reviews. Click on Post-Codes for Maps & Reviews. 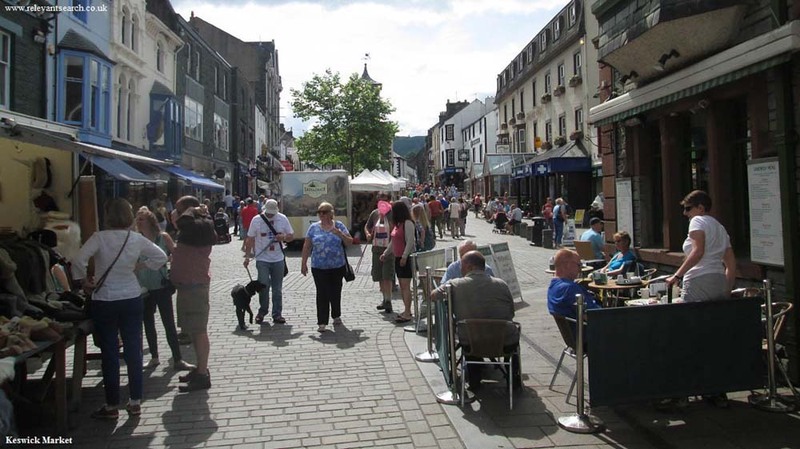 Keswick Market one of the towns top attractions, held in the Market Square right in the centre of Keswick most Thursdays and Saturdays, with up to 70 stalls displaying local produce, hand made gifts, clothing, and more. Moot Hall situated in Keswick Market Square. It was built in 1813 to serve as a court house. The hall is now used as a Tourist Information Centre, with an interesting interior for visits. Phone 01768 772 645. Puzzling Place in the centre of Keswick in Museum Square. Sure to impress adults and kids with an Anti-gravity Room, Ames Room, Hologram Gallery, and Eyelusions Exhibition. Tel: 01768 775 102. Keswick Boat Trips or Boat Hire on Lake Road on the west side of the town. The Keswick Launch Company provide boat trips from Keswick to seven boat landings around Derwent Water. You can get off at the landings for walks, visit a large hotel with a beer garden, or just enjoy the 50 minute trip around the lake. Also available are rowing and self drive motor boats. Phone 01768 772 263. Theatre by the Lake on the west side of Keswick next to the pier for boat trips. The theatre hosts a number of shows throughout the year. It has a cafe, diner, and the circle bar. The cafe and diner are open all day, ideal for visitors to the pier or Hope Park. Tel: 01768 774 411. Hope Park between Keswick centre and the pier at Derwent Water for the boat trips. This scenic park is great for laying around, has crazy golf, putting, and a nine hole golf course. Gallery 26 at 27 on the southeast side of Keswick centre on Station Road. The gallery specializes in contemporary and modern art, with the gallery artist being Nelson Nanson, who lives and works in the Lake District. Tel: 01768 772 090. Fitz Park on the east side of Keswick on Station Road. 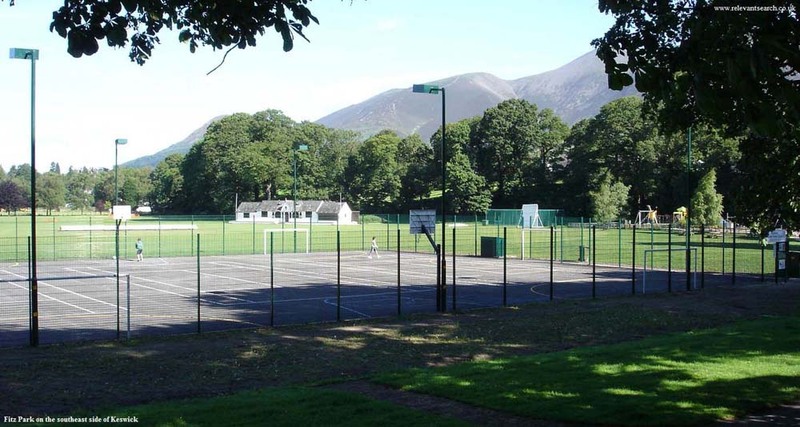 The park has a children's play area, cricket ground, bowling greens, tennis courts, and multi function courts for football, basketball and more. 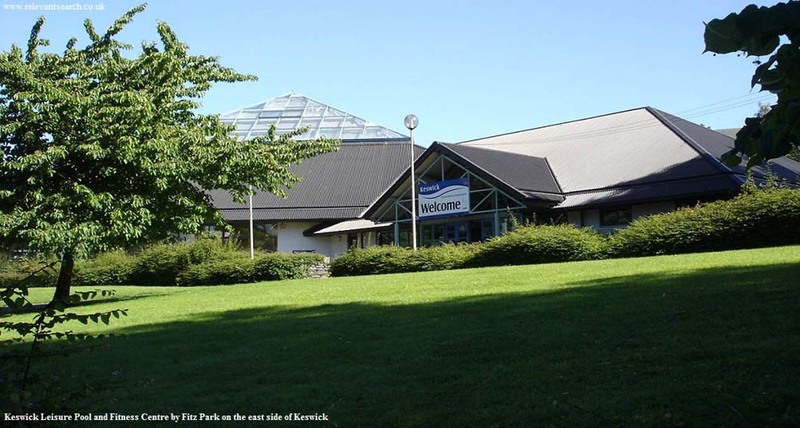 Keswick Leisure Centre on the east side of Keswick next to Fitz Park. The centre has a fairly large swimming pool with a water slide and wave machine, fully equipped fitness suite, and a pool side cafe serving hot and cold food. Phone number 01768 772 760. Keswick Museum and Art Gallery on the east side of Keswick centre on Station Road, next to Fitz Park. 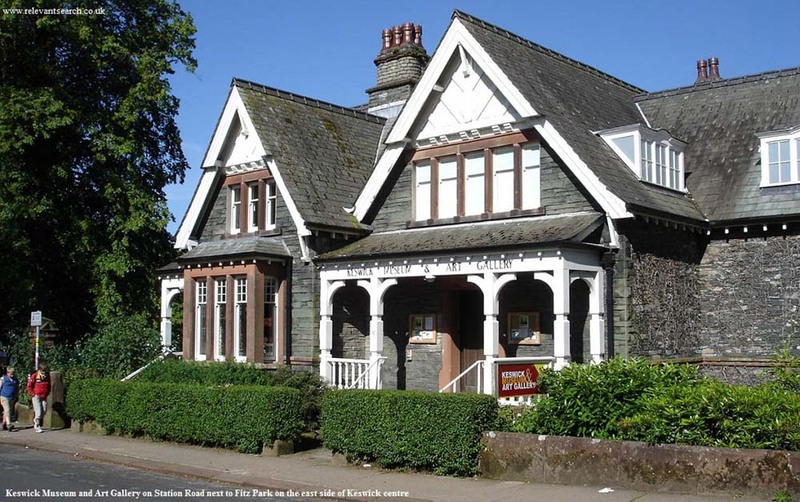 The museum holds historic collections that give an insight into Keswick's history and culture. It also has a cafe. Phone number 01768 773 263. King Kong Climbing Centre on the south side of Keswick centre on Heads Lane. A number of climbing routes up to 40 ft high, an ice climbing complex, cafe, and kids play area. Tel: 01768 775 907. The Pencil Museum on the south side of Keswick centre on Carding Mill Lane. Home of the world's first pencil, an escape artist's pencil, and the world's longest colour pencil. Also with a shop and cafe. Tel: 01768 773 626. Keswick Alhambra Cinema in the centre of Keswick on St John's Street. A small cinema seating about 250 with Digital sound. Tel: 01768 772 195. Keswick Brewing Company on the east side of Keswick centre on Brewery Lane. Take a tour of the brewery or visit the shop for ales and brewery merchandise. Tel: 01768 780 700. Keswick Bikes in the centre of Keswick on Main Street. Cycle shop with all types of modern bikes for hire. Tel: 01768 773 355. Keswick Adventure Centre based in Keswick on Brundholme Road. Activities catered for are: Ghyll Scrambling, Canyoning, Rock Climbing, Abseiling, Canoeing, Raft Building, and Mountain Biking. Tel: 01768 775 687. Keswick Canoe and Bushcraft based in Keswick on Lake Road with canoeing and bushcraft activities to suit all ages and abilities for families, couples, individuals and groups. Tel: 07950 559623. Derwent Water Marina 2 miles west of Keswick by the small village of Portinscale, practically every type of water vessel for hire, or with tuition. Also other outdoor pursuits such as rock climbing. Tel: 01768 772 912. Nichol End Marine 2 miles west of Keswick by the small village of Portinscale, offering boat hire, tuition, cafe, many nice walks, and on the Keswick Launch route. Tel: 01768 773 082. Keswick Climbing Wall 2 miles east of Keswick. About 40 climbing routes up to 26ft, from fairly straight forward to really difficult. Also other outdoor activities catered for. Tel: 01768 772 000. Platty 3 and a half miles south of Keswick on the southwest of Derwentwater, a family run business that offers hire and tuition for Kayaking, Canoeing, Sailing, a Dragon Boat, a Viking Longship, Rowing Boats, and Power Boating. Tel: 01768 776 572. Newlands Adventure Centre 4 miles southwest in the Newlands Valley, practically every type of outdoor activity available from walking to rock climbing. Half day or full day activities for day visitors, also courses and team building packages. Tel: 01768 778 463. Dodd Wood 4 miles north of Keswick by Bassenthwaite Lake, a visitor centre, the Old Sawmill Cafe, walking trails, and each spring, the Bassenthwaite Ospreys can be seen from viewing areas in the forest. The historic Mirehouse Mansion for visits is also here. There are regular buses that run between Keswick and Dodd Wood. Tel: 01768 778 469. 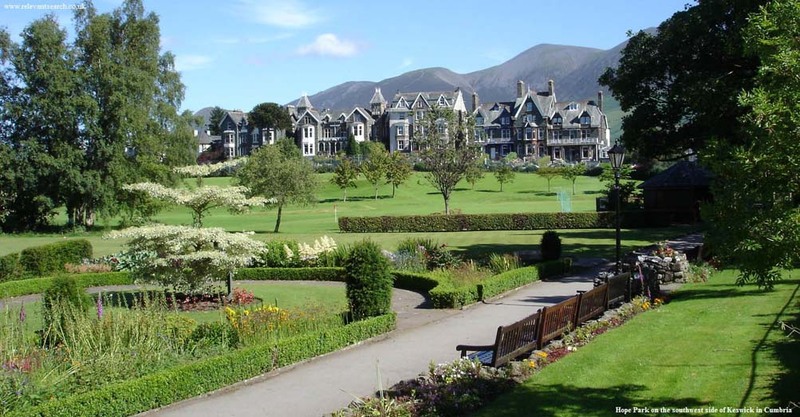 Mirehouse & Gardens 4 miles north of Keswick by Bassenthwaite Lake, an historic Mansion House with large scenic gardens that stretch down to the banks of Bassenthwaite Lake. Open for visits from April to October to the house and gardens, or just the gardens. Tel: 01768 772 287. Threlkeld Quarry and Mining Museum 4 miles east of Keswick, run by volunteers, the museum displays machinery involved in the quarrying and mining, as well as information on the types of stone, slate, metals, and minerals found in the area. Tel: 01768 779 747. Chase Adventure 4 miles east of Keswick based at Threlkeld, Ghyll scrambling, climbing, abseiling, canoeing and many more challenging events to suit any ability. Day outings or courses. Tel: 07795 170 823. Go Ape - Tree Top Adventure 5 miles west of Keswick. The highest Go Ape facility in England at 1,200ft above sea level. Canopy walks and zip wires. Tel: 0333 331 7332. Whinlatter Forest Park 5 miles west of Keswick. England's only true Mountain Forest with stunning views, walks, mountain biking, rare wildlife, adventure play, and the Siskins Cafe. Tel: 01768 778 469. Glaramara Centre 8 miles south of Keswick by the very small village of Borrowdale, a wide range of outdoor activities for individuals, families, and groups. Accommodation available and day visitors welcome. Tel: 01768 777 222. Lake District Wildlife Park 9 miles north of Keswick. By Bassenthwaite Lake, a 24 acre park with over 100 species, Bird of Prey flying displays, cafe, and picnic and play area. Tel: 01768 776 239. Honister Slate Mine 9 miles southwest of Keswick by Borrowdale, visit the slate mine, take an underground tour, or take a hike high up the old slate mine paths, along the cliffs, on a fixed cable for safety. Tel: 01768 777 230. Lake District Paintball 11 miles east of Keswick by Troutbeck, in a 400 acre wood at Rookin House Farm with over 14 years experience in providing action packed adventures. Tel: 01768 892 105. Jennings Brewery 13 miles northwest of Keswick by Cockermouth, take a tour of this famous brewery and sample some of Jennings' superb Lakeland ales in our Old Cooperage Bar. Tel: 01900 820 362. Wordsworth House and Garden 14 miles northwest in Cockermouth, a Georgian townhouse that was the birthplace and home of romantic poet William Wordsworth and his sister Dorothy. Tel: 01900 820 884. 13 miles south of Keswick in Grasmere. Britain's best loved poets first family home in the very scenic village of Grasmere, with many hotels with beer gardens and walking trails. Tel: 01539 435 544.